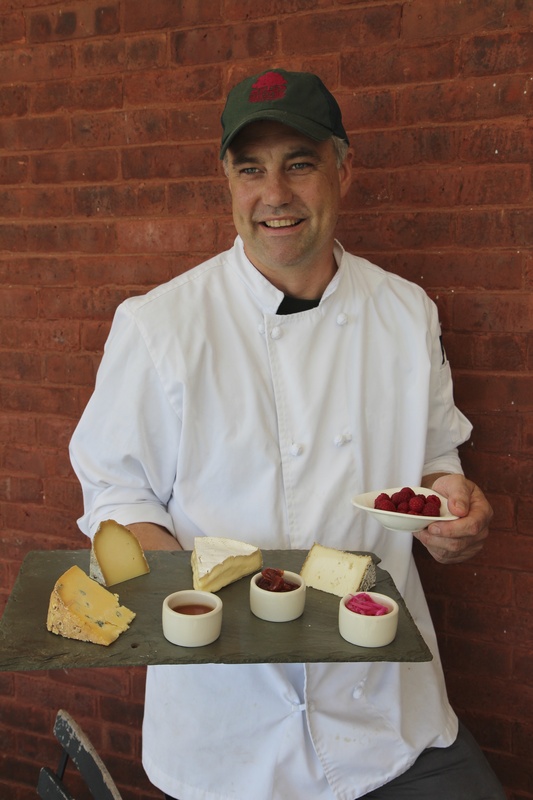 This month we talked with Chef David Hugo, Executive Chef and Food Services Director at Shelburne Farms in Shelburne, Vermont, to learn more about how a chef on a farm deals with sustainable practices. Tell us about Shelburne Farms. Shelburne Farms is a nonprofit education organization integrated with a 1,400-acre working farm and forest on the shores of Lake Champlain in Shelburne, Vermont. The farm works with educators, schools, and partners to offer learning experiences that inspire a culture of sustainability in the state, nationally, and internationally. We see 150,000 visitors a year on-site alone. Shelburne Farms is regional lead for the Northeast Farm to School Network, coordinator of the Vermont Farm to School Network, a partner in Vermont Food Education Every Day (VT FEED), backbone organization to the Farm-Based Education Network, and a partner with the Vermont Department of Agriculture and others on a recently awarded federal grant to strengthen agriculture and culinary tourism on Vermont farms. To support these efforts, as well as professional development for teachers and public programs, Shelburne Farms has several enterprises: a Certified Humane grass-based dairy and award-winning farmstead cheese operation, a seven-acre organic market garden, pastured meats, sustainable forestry, a seasonal inn, and our farm-to-table restaurant and food truck. Everything we do at the farm is about the four E’s of sustainability: environment, economy, equity, and education. The inn and restaurant, for example, have a dual purpose: we’re a site for educational workshops, as well as revenue-generators for the nonprofit’s education for sustainability work. What is, in your opinion, the best thing you grow? At Shelburne Farms, we say that education is our biggest crop. Shelburne Farms is like no place I’ve worked before. The farm brings together the farm to table and farm to school movements; agriculture, craftsmanship, and the culinary arts; culture and place; chefs, farmers, and educators. The restaurant is here to serve amazing food and help people make connections to where their food comes from. But at the end of the day, we are serving the farm’s education for sustainability programs — programs that are about building a healthier future for communities and the planet. 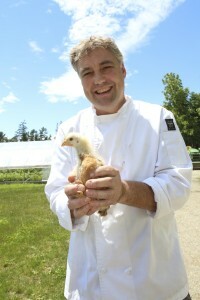 All of the proceeds from the inn and restaurant go towards Shelburne Farms’ farm-based education, farm to school, and other education for sustainability work. As Executive Chef, I feel responsibility to show the young people, teachers, and others that come through the farm that chefs care about where and how food is produced. In addition to being a chef, I enjoy teaching people about maple sugaring, bringing culinary arts into the farm’s agritourism initiatives, and joining summer campers in our market garden. The fact that our food truck is right next to our educational children’s farmyard is a great farm to plate conversation starter. If I had to pick the best thing we grow food-wise, the lamb is amazing. Our lamb is pasture-raised, never fed grain, and moved to fresh grass every other day. They’re healthy throughout their lives, which comes through in the flavor. This year, the cauliflower coming out of the Market Garden has been phenomenal. They’re enormous with really tight heads and packed full of flavor. Recently, we’ve been having fun making things like barbecued pulled lamb and cauliflower gratin. What do you still have to conquer or what’s next for you on the farm? The farm is an incredible outdoor classroom. Geology field trips take place on the lakeshore, forestry workshops in our woodlands, soil fertility classes in our gardens, etc. We’d love to create an indoor kitchen classroom space, as well as a separate catering kitchen. Built in the 19th Century, the inn kitchen was originally designed to feed just the inn. During the season, May-October, we serve breakfast and dinner daily at the restaurant. But the farm continues to expand its educational programs and we recently added our lunchtime food truck, so there’s increased demand for classes, catering, and food storage. We want to create more connections and opportunity to gather around food. Food is an integral part of the farm and our programs. You’re not only a chef but also involved in food production around the farm. How does being a producer affect your work as a chef? Being close to the source of all the meals I prepare continually deepens my relationship with the seasons and inspires me to be an even more flexible and creative chef every day. My team coordinates slaughter dates and then breaks down and stores whole animals, using as much as we can. We work with what’s available at any given time, whether the market garden is trialing sea berries or has a bumper crop of sweet peppers. Throughout the season and over the winter, the head market gardener and I sit down and crop plan. We talk about the things that worked and what we might like to be different next time. Perhaps more squash blossoms, tarragon, and basil and smaller patty-pans. Days that I’m not in the kitchen, some of the chefs and I tap maple trees and sugar, milk our Brown Swiss cows, fix farm equipment, harvest from our kitchen herb garden, and forage for ramps, fiddleheads, garlic mustard, lion’s mane, and other wild edibles. As a chef, it feels important to me to be involved in the production-side of food. I grew up on a farm, so all of this feels natural to me. How do you apply sustainable practices on a daily basis? What’s your framework for making choices? We grow as much of our own food as we can. ¾ of our food at the restaurant and food truck comes from Vermont and half of that comes from our own pastures, fields, and cheesemaking room. Each season, we raise approximately 80-100 lambs, 18 beef cows, and 12 pigs; produce 100 gallons of maple syrup; use 20,000 pounds of our farmhouse cheddar cheese; and rely on over $72,000 worth of organic vegetables, mushrooms, berries, and fruit from the market garden. Shelburne Farms follows the IFOAM definition of organic, diversified farming practices. We believe this best supports a healthy food system as well as an inspiring learning environment for students, teachers, the community, and public. Animal welfare is also important to us. Our dairy was the first one in VT to be Certified Humane by Humane Farm Animal Care. We make sure our equipment is energy efficient, milk is rBGH-free, and coffee and chocolate are fair trade. We don’t buy a lot of seafood since we’re inland in Vermont, and we have a lot of great meat and produce here, but when we do, we follow the Monterey Bay Aquarium’s Seafood Watch’s green list, as well as talk to our fishmongers about their practices. Can you describe a sustainability challenge you’ve overcome? We generate ~18 tons of food scraps every year. Up until a few years ago, we were pretty much throwing our kitchen food scraps into a big compost pile in order to divert it from the landfill. In 2010, we invested in and improved our farm composting system. We worked with Highfields Center for Composting for recommendations and technical assistance on getting our nitrogen:carbon ratios right to produce certified organic compost. Just as we follow recipes and balance flavors and ingredients for great dishes, we now do the same for our compost – – we balance a mix of food scraps, wood chips, hay, and leaves in order to break things down quickly and generate high enough heat to kill weed seeds. We now have organized compost windrows that are turned couple of times throughout the season. Instead of it taking several years for our food scraps to break down and be usable, we have fluffy, new soil ready to be put back in the market garden by the end of the season. Why is Shelburne a member of Chefs Collaborative? Our missions align. Chefs Collaborative harnesses the power of community, education, and socially responsible decisions to create a culture around sustainability through producer-chef connections and the restaurant world. 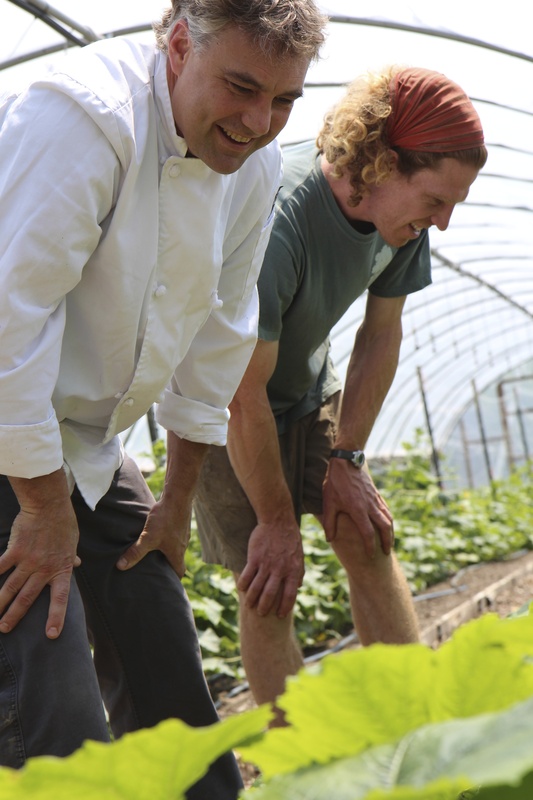 At Shelburne Farms, we’re working to transform the field of education and our food landscape. We appreciate the work of the Chefs Collaborative in helping shift our culture to one that places a higher value on local economies, biodiversity, and traditional practices. The Inn at Shelburne Farms reopens May 9, 2014. 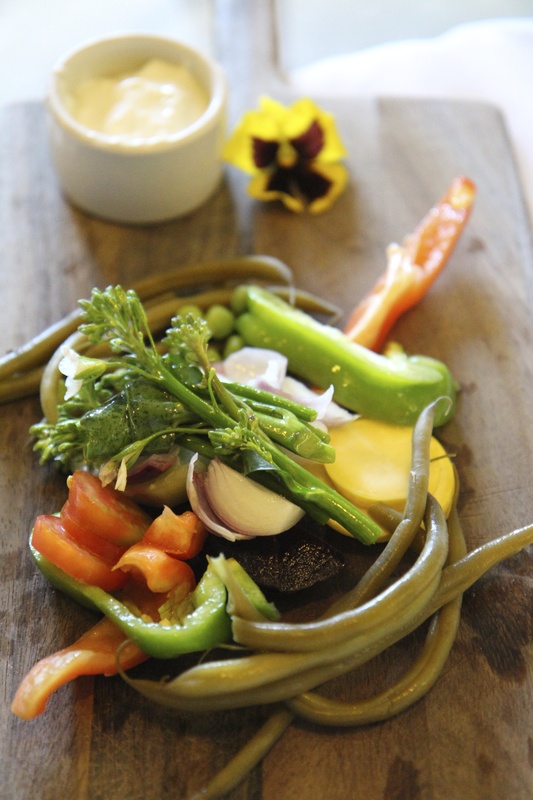 Check out our menus and programs online. You can also follow the farm on Facebook and Twitter. Want to be in our next member spotlight? Email our Membership Coordinator, Gillian Gurish and let her know!